HALO-Flight, Inc. offers a Guardian Subscription Membership Plan that helps make an unexpected tragedy less painful on your pocket. Cost for an average emergency helicopter transport can exceed $20,000. The Membership advantage is debt forgiveness or reduction once all insurance options have been exhausted. Guardian Subscription Plan Members with medical and/or automobile insurance coverage are not charged out-of-pocket expenses for HALO-Flight, Inc. transports deemed medically necessary. Members enrolled in the Subscription Plan who do not have medical and/or automobile insurance coverage will receive a 50% discount on their HALO-Flight transport bill. Guardian Ranch and Business Plans Available only by contacting the Membership Department at 361.265.0509. Ranch and Business Plans are not available on this website. WHEN TRAUMA STRIKES, HAVE A PLAN. Guardian Subscription Plan covers all that live within the household on a permanent basis, (includes non-custodial children and dependents at college) for 1 year. Membership valid 14 days after receipt of payment. Guardian Subscription Plan covers all that live within the household on a permanent basis, (includes non-custodial children and dependents at college) for 3 years. Membership valid 14 days after receipt of payment. Guardian Subscription Plan covers all that live within the household on a permanent basis, (includes non-custodial children and dependents at college) for 5 years. Membership valid 14 days after receipt of payment. Covers dependent family members who live in the same household and are listed on the application. (Includes dependent children, custodial and non-custodial children). Guardian Plan Membership Cards for the primary member listed on the application along with 2 vehicle decals identifying you as a Member. Medicaid recipients are not eligible to pay for a HALO-Flight Guardian Subscription Plan due to state regulations. We will, however, still transport these patients. Payments can be made by cash, check, money order, or credit card. New Membership is effective 14 Days after receipt and verification of payment. There is no waiting period for renewing members. 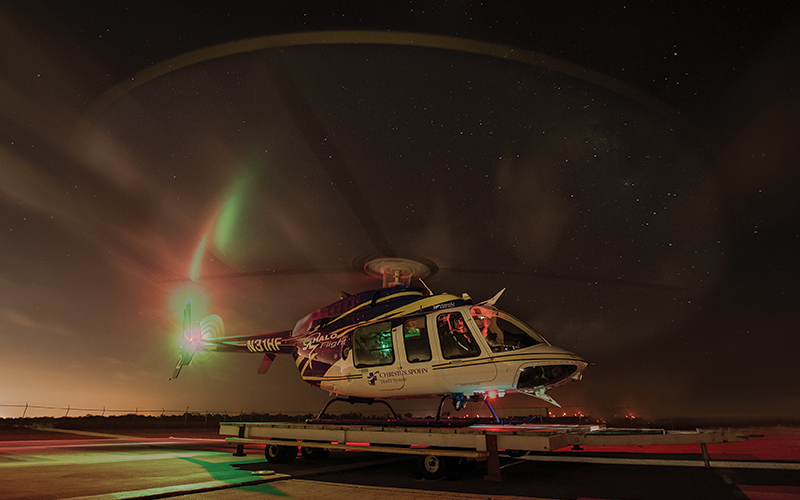 Medically Necessary: HALO-Flight Guardian Subscription Plan benefits are restricted to medically necessary services defined as a specific need for emergent helicopter air ambulance transport within our service area. The specific need must meet the Regional Advisory Council Bypass Protocol or diagnosis from a physician that determines an alternative form of transportation would be medically inappropriate regarding the patient condition. It is NOT for the convenience of a Provider, Physician, or Patient. HALO-Flight has the right to deny any request that is inappropriate based upon medical necessity or suspected Membership abuse. If abuse is found to exist, HALO-Flight reserves the right to terminate Membership. *In the event that any member of the HALO-Flight Guardian Subscription Plan requires service from our reciprocal partner, they will be subject to their terms of the agreement. San Antonio AirLIFE dropped reciprocal affiliation in October 2015. Copyright © 2019 HaloFlight – All rights reserved.